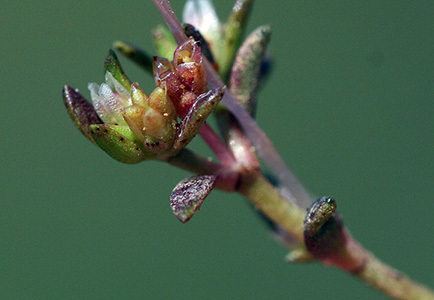 Flower close-up, showing 4-carpellate, apocarpous gynoecium. Fruits are aggregates of 4 follicles (follicetum). Note open pericarps after dehiscence. 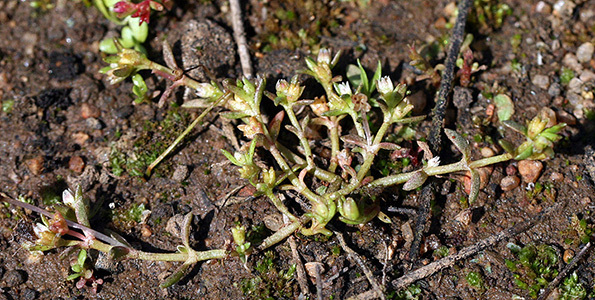 Comparison of Crassula aquatica (left) and Crassula solieri (right), the latter a non-native that can be found in vernal pools. 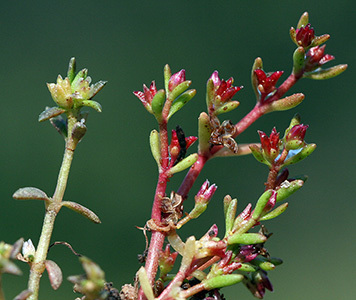 Crassula aquatica has fruit units (follicles) that are less reddish and less recurved. 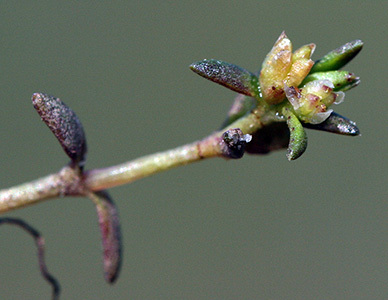 Seed surface and sepal length and shape also differs between the two. All photographs courtesy of Dr. Jon Reman.